Looking to improve your pickleball skills? Join us on Sunday, April 28 from 1pm to 2:30pm for our Pickleball Drill Clinics. Each clinic will feature a different set of drills. 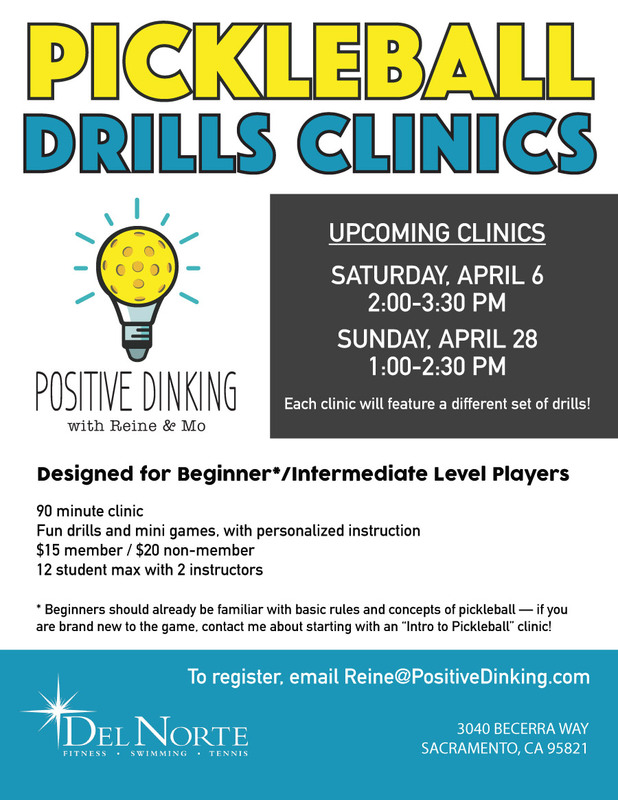 are brand new to the game, contact Reine at Reine@PositiveDinking.com about starting with an “Intro to Pickleball” clinic!